The silky formula of Collection Cosmetics Primed and Ready Makeup Primer ($16.90/18ml) provides a light coverage for a ﬂawless complexion and a noticeably natural ﬁnish. A soothing makeup base, it minimizes pore problems, smoothes uneven skin and hides unsightly blemishes for the perfect base. Wear alone or under foundation for a ﬂawless complexion. 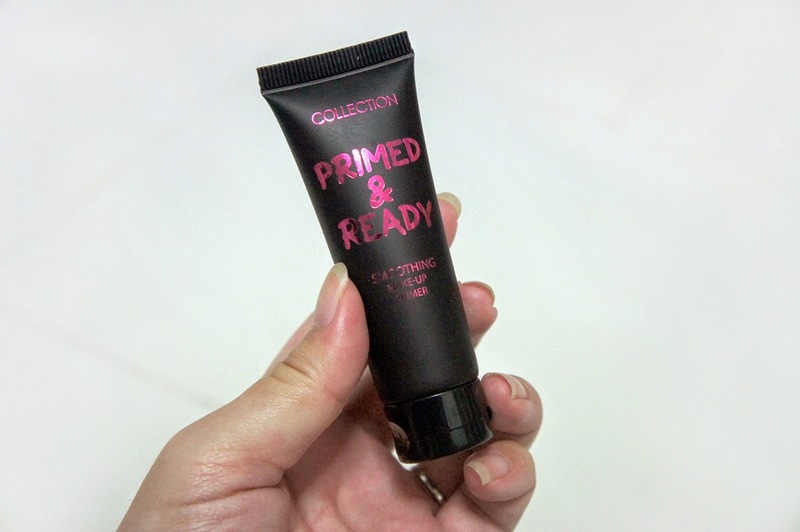 The Collection Cosmetics Primed and Ready Makeup Primer is a small tube of make-up primer that it is very portable, fits easily in any makeup pouch. The packaging is a funky, cool metallic pink on black. The primer is a transparent gel with little or no smell. 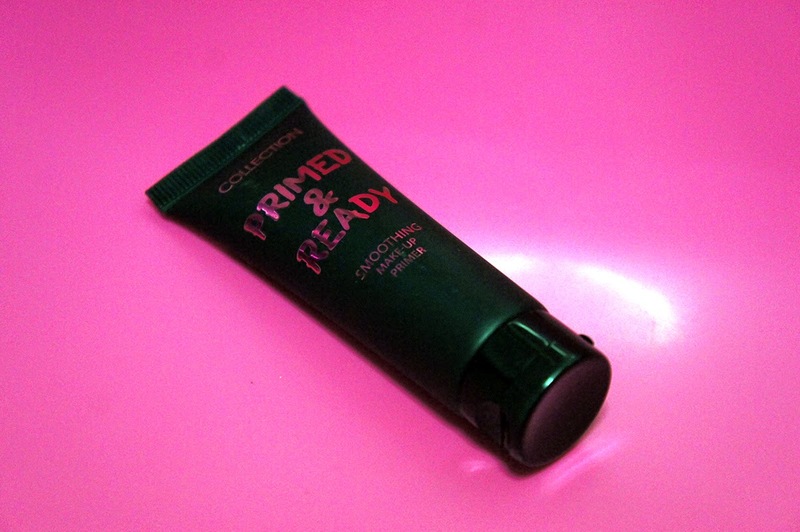 The Collection Cosmetics Primed and Ready Makeup Primer feels oily on the first touch. I thought that this primer is very oily, and would not be suitable for me. But after spreading out the primer, the oily feel disappeared. Instead, the area with the primer feels lightly powdered. 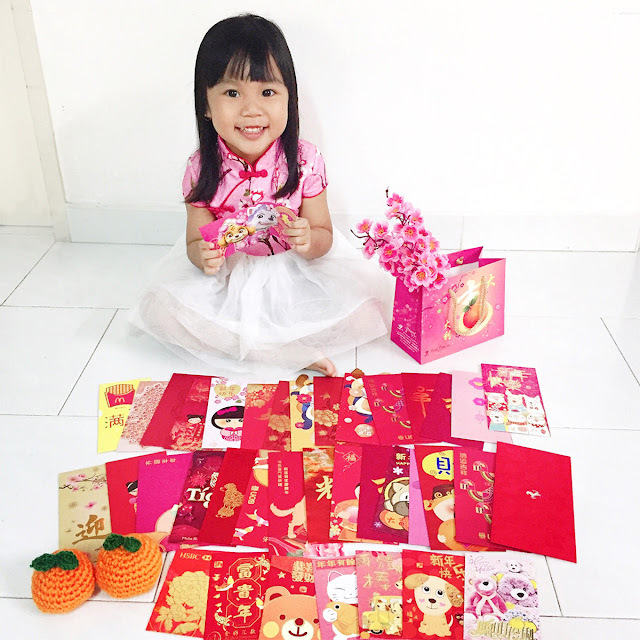 I like this feeling, it is as light as though there is nothing yet soft and smooth. The area with the primer applied, looks evened out and covered most of the lines on my hand. Comparing the left (with the primer) and right hands (without anything), my left hand looks smoother, without the ugly lines and has a nicer, even skin color. And the hand looks natural, as if nothing was applied on it. My hand looks so youthful now. Collection Cosmetics Primed and Ready Makeup Primer is an affordable, portable and natural looking makeup base that gives an evened skin, and hides blemishes and other problems on the face. Definitely a primer worth to try out. Purchase your Collection Cosmetics Primed and Ready Makeup Primer at S$16.90 from selected Watsons stores, BHG, the newly renovated BHG Bugis and Collection pop-up store in Cineleisure, Level 2 today.